Mary, a 59 years old secretary complained of decrease energy and breathlessness. All her blood tests were good. She had enjoyed good health in the past and was on no medications. Adrenal tonics also help build energy. These herbs nourish and balance the adrenal glands, the “stress managers” of the body. They improve stamina, energy, and ability to manage stress. Rhodiola strengthens the nervous system, fight depression, enhance immunity, elevate the capacity for exercise, enhance memory, aid weight reduction, increase sexual function and improve energy levels. It is a potent adaptogen herb that can help the body “adapt” by normalizing body systems, while increasing the resistance to adverse influences like anxiety, stress, and exhaustion. A magnesium complex with B vitamins to nourish her nervous system. They convert food into energy, keep the central nervous system running properly, and preserve brain health. 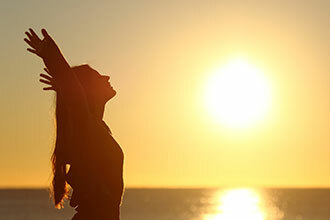 Vitamin D3 increases immunity, bone and heart health, and helps the body fight off cancerous cells. To include a daily walk of 20 minutes with deep breathing techniques. Mary recovered in 12 weeks and is keeping on a maintenance protocol only.